We can provide comprehensive US legal services to private and commercial clients who require legal advice and assistance in the United States. Through our network of professional associates we are able to offer a wide range of legal advice in the USA, helping you through the decision making process. In order to keep costs low and our level of service high, we suggest that in the first instance you complete our enquiry form. We will then provide a quotation for the US legal services requested. Payment shall be required in full upon acceptance of our USA legal services quotation. The information and any commentary on the law contained on this website is provided for information purposes only. Every reasonable effort is made to make the information and commentary accurate and up to date, but no responsibility for its accuracy and correctness, or for any consequences of relying on it, is assumed by startanamericanbusiness.com, trading as Start An American Company Ltd. The information and commentary does not, and is not intended to amount to legal advice to any person on a specific case or matter. It is provided for guidance purposes only. You are advised to obtain specific advice from a lawyer specialising in American Law and not to rely on the information or comments on this site. 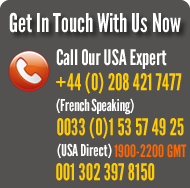 For more information on seeking legal advice and services for your American business, don’t hesitate to contact us.